We all love a good underdog story. For you, the story of your small homebuilding business facing off against larger builders is as exciting as it gets. 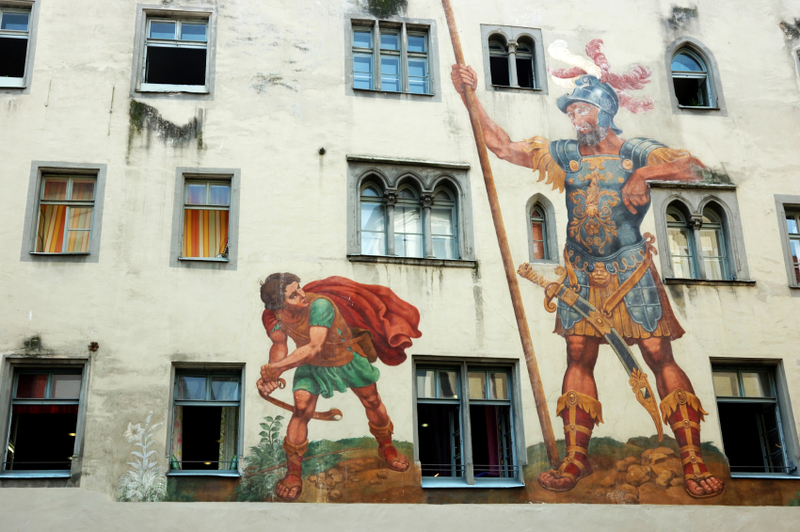 Your marketing budget and limited infrastructure might make you feel like David against Goliath. Fortunately, the internet has given small homebuilders the opportunity to level the playing field with larger companies. How are you playing the game? When small homebuilding companies invest in a digital marketing strategy, their website, and the content it produces provide regional and national leverage. On the internet, it doesn’t matter whether you have a marketing department or not. All that matters is your website and its content. A post that’s strategically optimized for SEO can last on search engines for years, giving small businesses a competitive edge. In 2017, the homebuilding businesses that invest in content marketing, recognize online opportunities, focus on specific keywords, and acknowledge online competition are more likely to succeed. Since the internet makes it easier for brands to connect with existing and prospective clients, the narrative of the little guy going against the big guy continues to become reality. As content continues to define your digital marketing strategy, homebuilders are increasingly investing in multiple types of content such as video, whitepapers, and social posts. Including online video in a marketing strategy, for instance, gives small homebuilders the opportunity to compete with traditional advertising methods such as television, newspaper, and radio. Online, you have the power to reach just as many people with video as with a commercial on TV. And with the advanced targeting you can do on Facebook Ads, you can be much more targeted online than with traditional advertising. For content marketing to reach its full potential, homebuilders must create a strong web foundation through which the content is published. Investing in a website that’s optimized for desktop and mobile users alike is critical to harnessing the power of the web. Once a strong website is established, it’s easier to redirect traffic through social media, content marketing, SEO, and other online efforts. Small homebuilding companies actually have the advantage of being able to move faster and more nimbly in their marketing strategies. Quickly replying to inquiries, promoting content, and keeping social pages creates an advantage over competitors. Generally speaking, the size of a company and its speed in adopting new technology and marketing strategies are inversely related, giving smaller homebuilders the opportunity to compete in a digital world. Startups, for instance, can make the leap from analyzing data to implementing a marketing strategy in as little as a few hours. A major corporation, on the other hand, takes a disproportionate amount of energy and input to make a decision. By focusing on content marketing and responding quickly in a digital world, smaller homebuilders will be able to compete with larger competitors. How is your business stacking up?